Editor’s note: Guest author Steve Cheney is an entrepreneur and formerly an engineer & programmer specializing in web and mobile technologies. 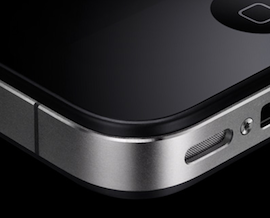 Leading up to Apple’s press conference tomorrow, there’s been endless speculation about the iPhone 4 antenna issue. Amidst all the wrangling, both sides have been pretty bipolar about the solution—suggesting either a complete recall, or a hand-waiving session, free bumpers, and a general denial of the hardware issue. This staggering forecast quantifies the true issue for Apple—it will never really go away. With each iPhone 4 sold, the installed base grows. And since the issue appears to be fairly fickle, presenting itself differently depending on location and signal, the potential for problems grows geometrically as shipments increase. And continued negative mainstream press could actually expand Apple’s woes exponentially. This is imperative for Apple, since the installed base is rapidly growing, and since Apple’s lack of attention to quality assurance threatens to become a permanent blemish. Both the lack of testing and Job’s email response were extremely sloppy. The antenna issue stands in complete contradiction to Jony Ive’s recent interview in which he boasts about Apple’s command of materials—it doesn’t take an RF engineer to know that stainless steel is conductive. It’s much better to fix the antenna now. Apple can then do a “voluntary recall” after a certain date once manufacturing has hit its stride. For example, the voluntary recall is announced now, and starting September 1st, customers can exchange their iPhone 4 at a genius bar for up to three months.